Ramadan is a month of uncountable blessings as promised by Allah. And how could it not be, with the shaitaan locked up the entire month. Blessings upon blessings upon the creation of Allah. So we must make sure that we collect as many blessings during this Holy month. And the way to do that is to do kindness and to pray. It is no secret that the Shaitaan hats the relationship of marriage as much as Allah loves it. That is why he tries his utmost to destroy it. But during the month of Ramadan, since he is locked up, Muslim men and women have the perfect opportunity to work on their marriage and not let Shaitaan ruin it. This making your marriage work stems from praying for this great relationship. 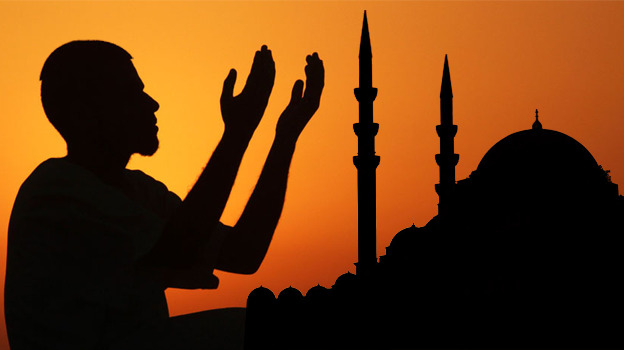 Ramadan is a month where Allah accepts the prayers of all Muslims and forgives their sins. It’s like a jackpot month for Muslims who should make full use of it. And what better way to make use of the month than to pray for the most important relationship in your life, your marriage. During Ramadan the husband and the wife should pray together for the happiness and success of their marriage. Whatever little problems you and your spouse are going through, know that Allah can and Allah WILL fix those so trust Him and pray to Him alone. Put all your expectations towards him this month and pray earnestly. Once again remember that only Allah has the ability to make your marriage a fulfilling one, but He will not do so if you yourself do not put in the effort. So along with praying for your marriage to be a long and fulfilling one, one must also work towards it. Be nice to your spouse. Communicate with them. Help them. Understand them. And forgive them. Show them compassion and compromise for their sake. Make sure you make the full use of this blessed month because not only will Allah give you a prosperous marriage as a result He will also give you the reward, 70 times more than what you would otherwise get. So pray for your marriage in Ramadan and work whole heartedly towards your marriage in Ramadan. This month has the power to answer your prayers so don’t let go of this opportunity.